With more and more consumers streaming movies, playing online games, and taking part in other bandwidth intensive activities at home, additional demands are being placed on the venerable wireless router. Often there are multiple persons and devices simultaneously consuming data from your Internet service at your residence. Whatever the reason, learning how to boost wifi signal strength at your home is a must to ensure everyone gets the most out of their online experience. 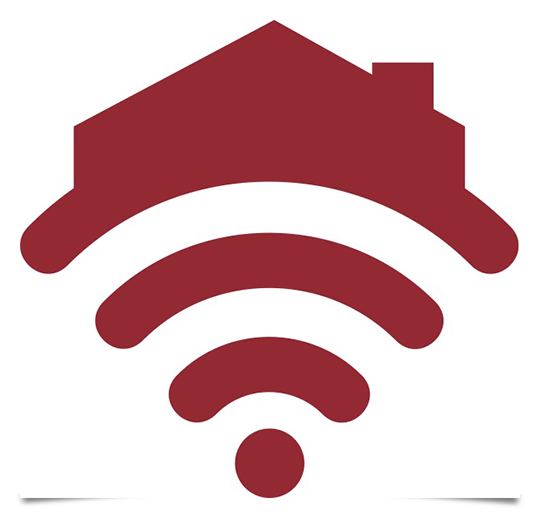 With that in mind, here are a few tips for optimizing your home’s WiFi signal. Ultimately, making an investment in a high-end wireless router offers you the most bang for the buck when it comes to improving your WiFi signal. We’ve talked about dual band routers in the past here at Bandwidth Place if you are interested in learning more about the subject, but the bottom line remains: dual band routers work better in scenarios where multiple people are using your Internet service at the same time. Additionally, routers that support advanced features like beamforming are able to boost the WiFi signal for certain devices on your home network. It is a good idea to use beamforming on any device consuming a copious amount of bandwidth, like Blu-Ray players, HD TVs, and advanced video game systems. Be sure to place your wireless router somewhere in the middle of the devices typically accessing it. If your router resides in one side of your house, the signal will obviously be weaker for those devices farthest from its location. If necessary, talk to your ISP to see if placing your modem — whether coax, fiber, or DSL — in a central location to facilitate an optimal router placement is possible. Certain appliances, most notably microwaves, interfere with your router’s signal. So make sure you place the router where a microwave won’t hamper your WiFi. Additionally, try to keep any walls between your router and your streaming devices to a minimum. Finally, making the effort to optimize your WiFi signal goes for naught if your Internet service suffers from inadequate bandwidth. Be sure to perform speed tests on a regular basis to ensure you are getting bandwidth you paid for and deserve.